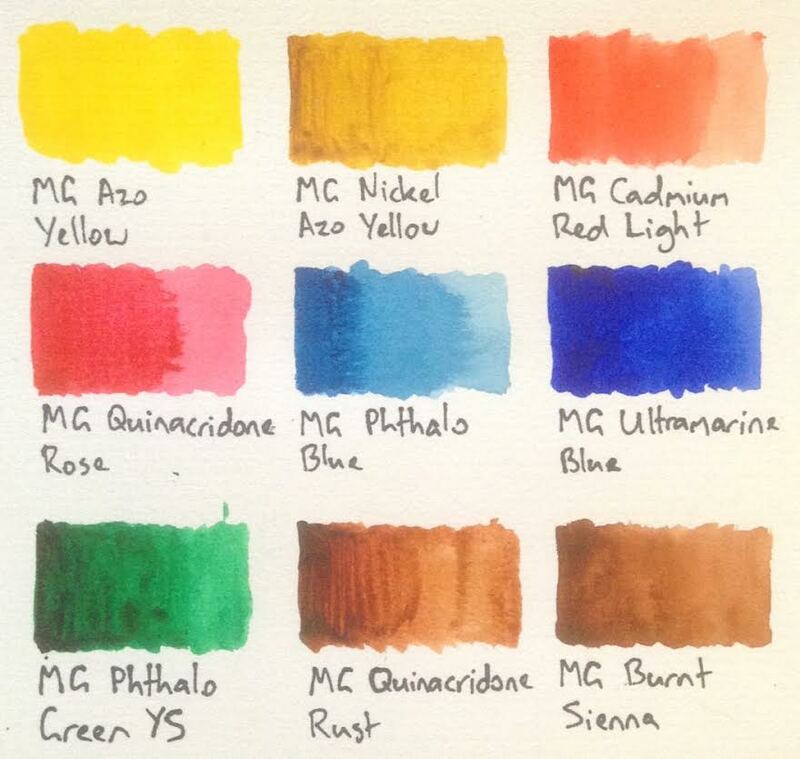 These are the colour charts for all the watercolours I’ve tried. For some brands I’ve only tried a small number of colours, but if and when I try more, I’ll update the colour charts to reflect that. 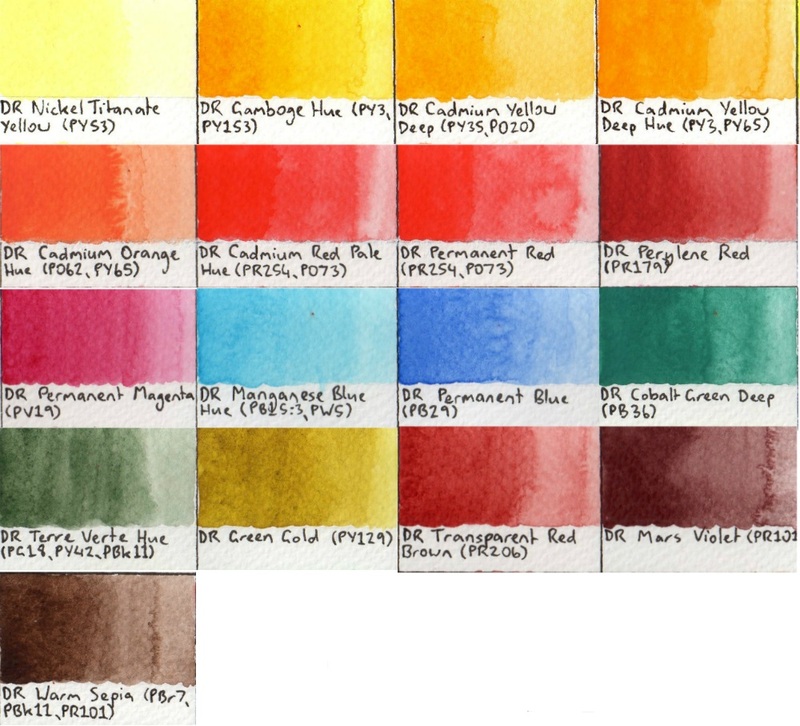 Note that watersoluble pencils are listed under Pencils and Blocks. 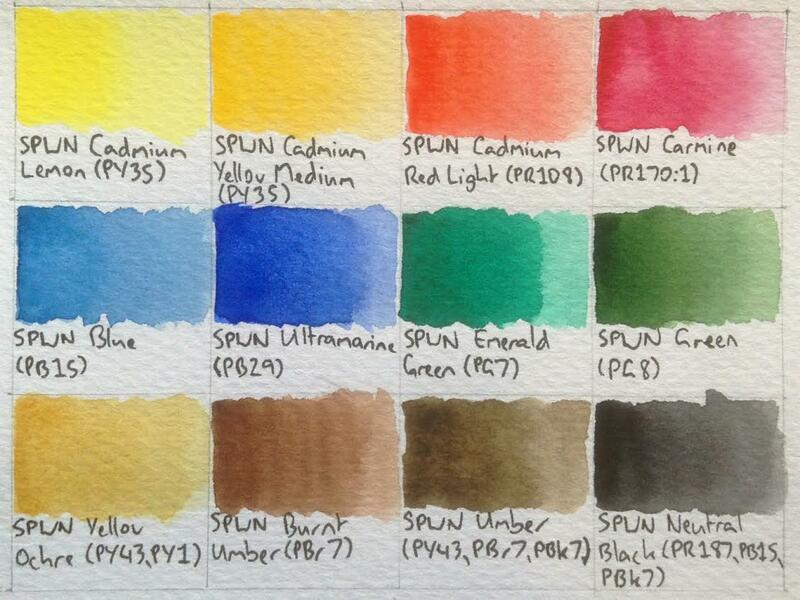 Click here for my review of Art Spectrum Watercolours. 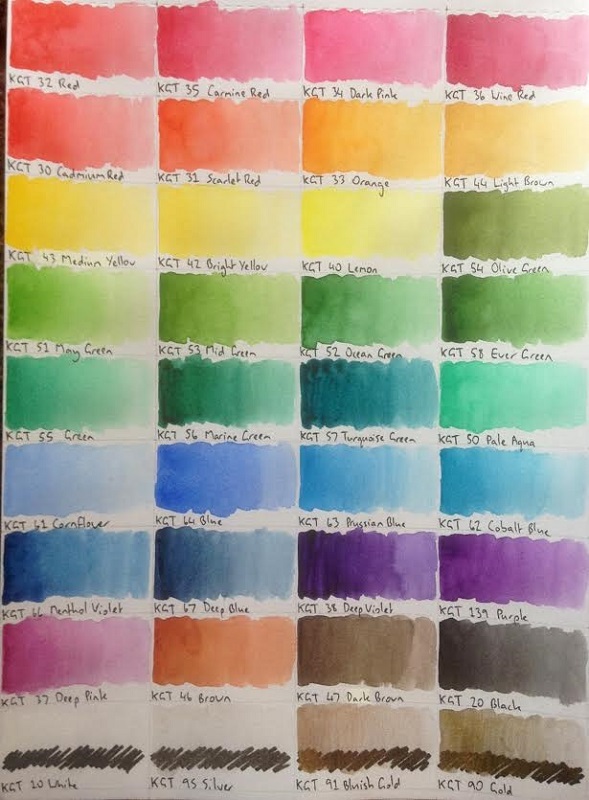 Click here for my review of Blick Artists’ Watercolours. Click here for my review of Blockx Watercolours. 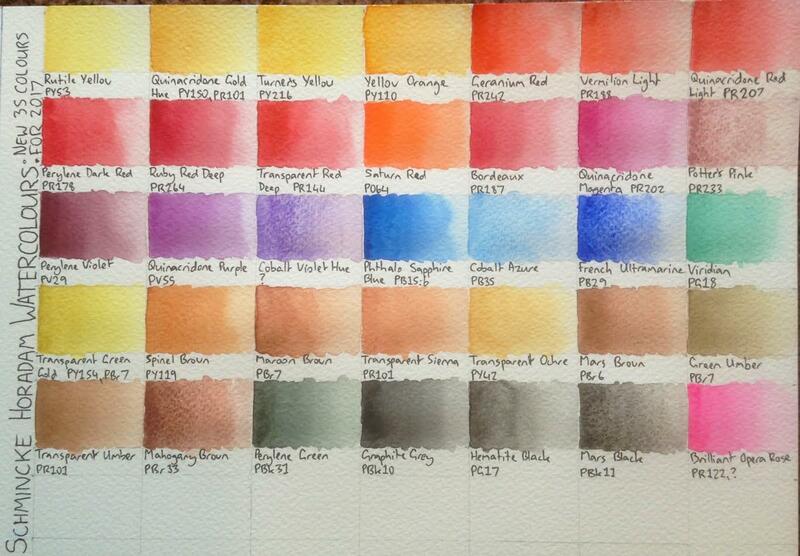 Click here for my review of Daler-Rowney Artists’ Watercolours. 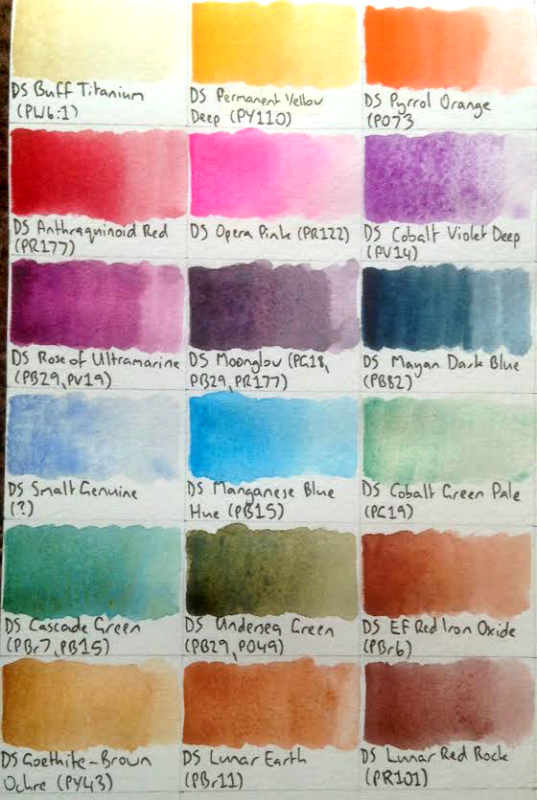 Click here for my review of Daniel Smith Artists Watercolours. 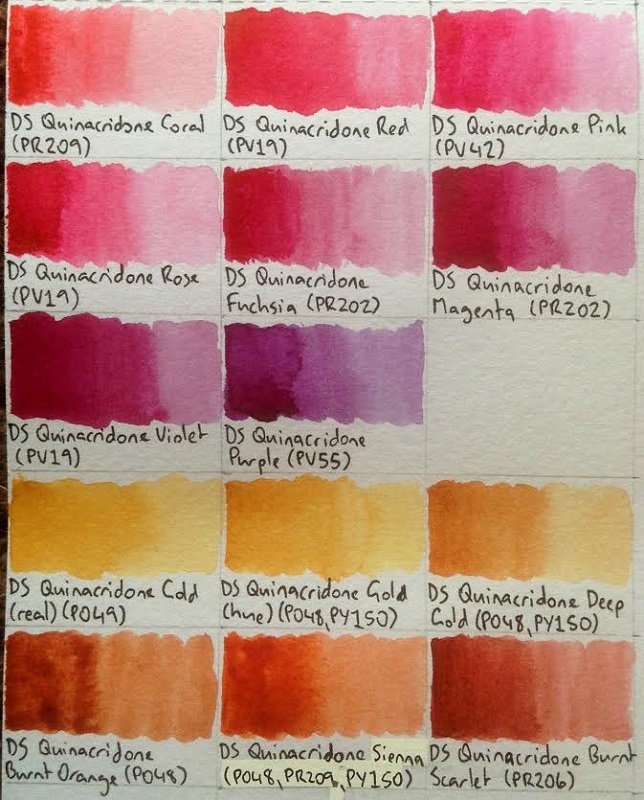 Click here for my review of Golden QoR Watercolours. 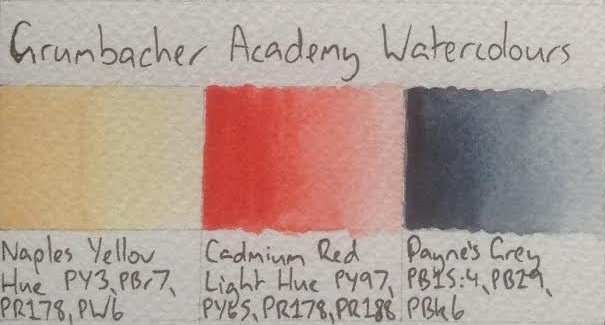 Click here for my review of Grumbacher Academy Watercolours. 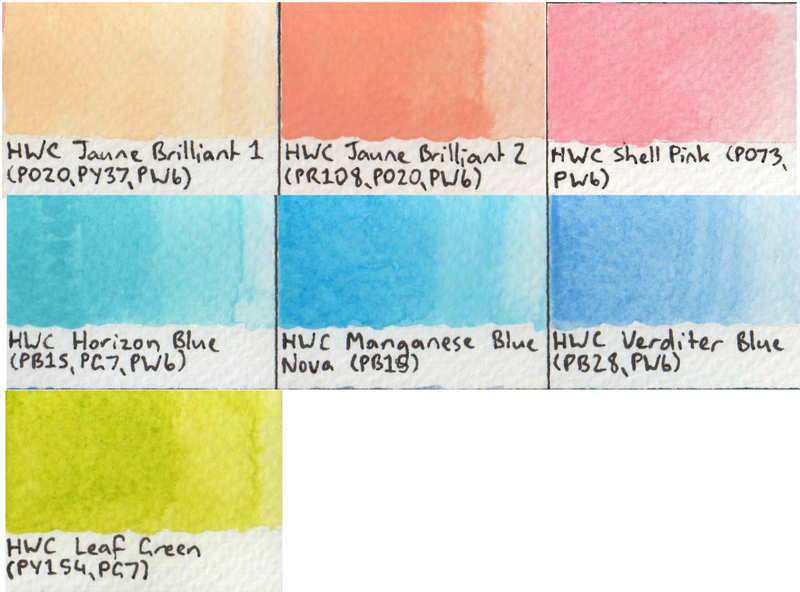 Click here for my review of Holbein Artists Watercolours. 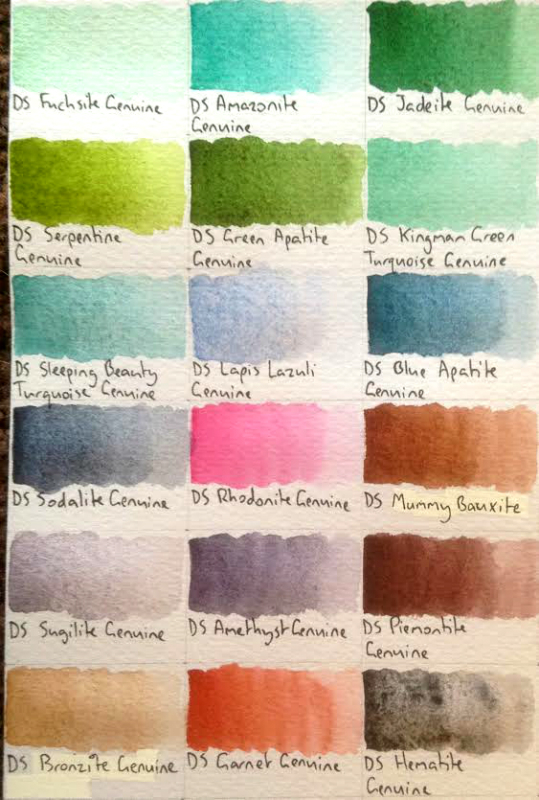 Click here for my review of the Kuretake Gansai Tambi Watercolours. 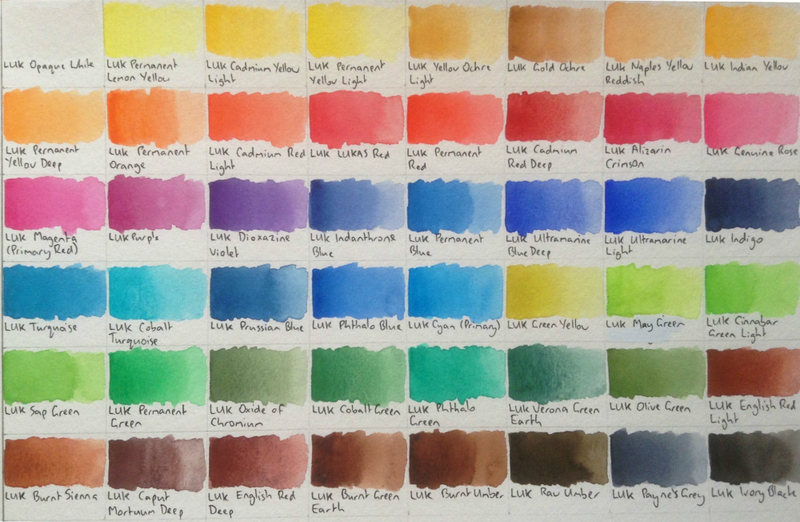 Click here for my review of the Lukas 1862 Artists Watercolours. 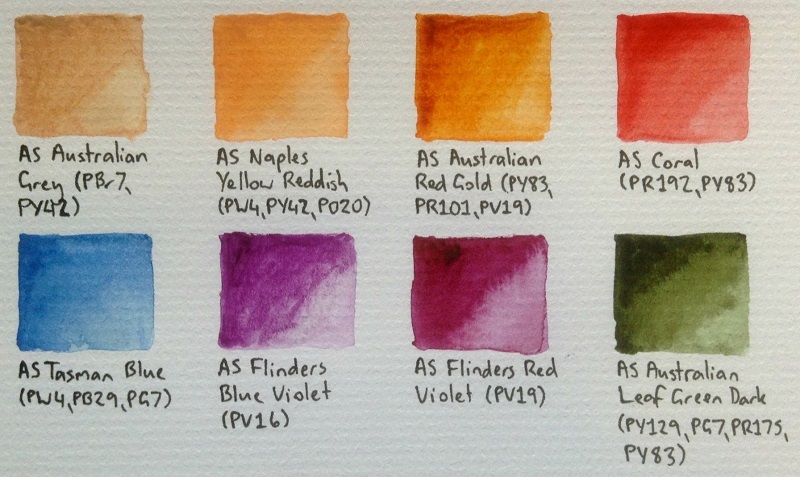 Click here for my review of M Graham Watercolours. Click here for my review of MaimeriBlu Artists Watercolours. 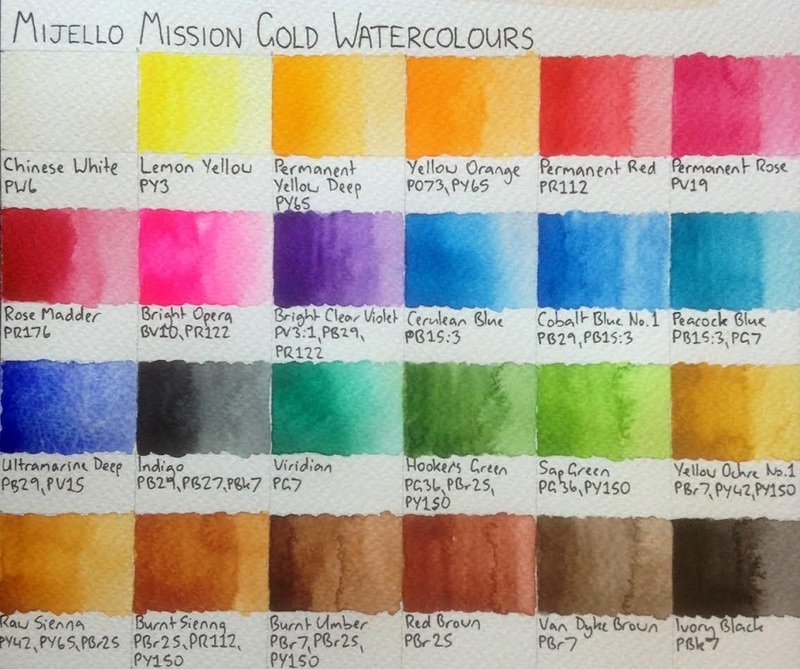 Click here for my review of the Mijello Mission Gold Watercolours. 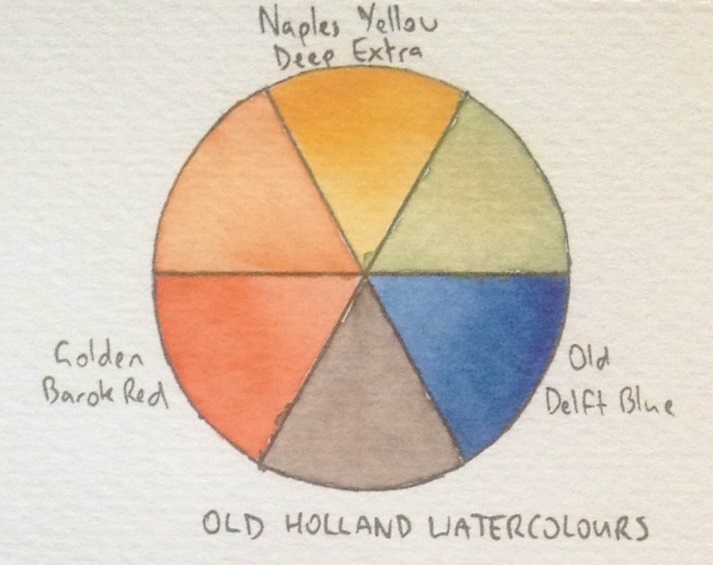 Click here for my review of Old Holland Watercolours. 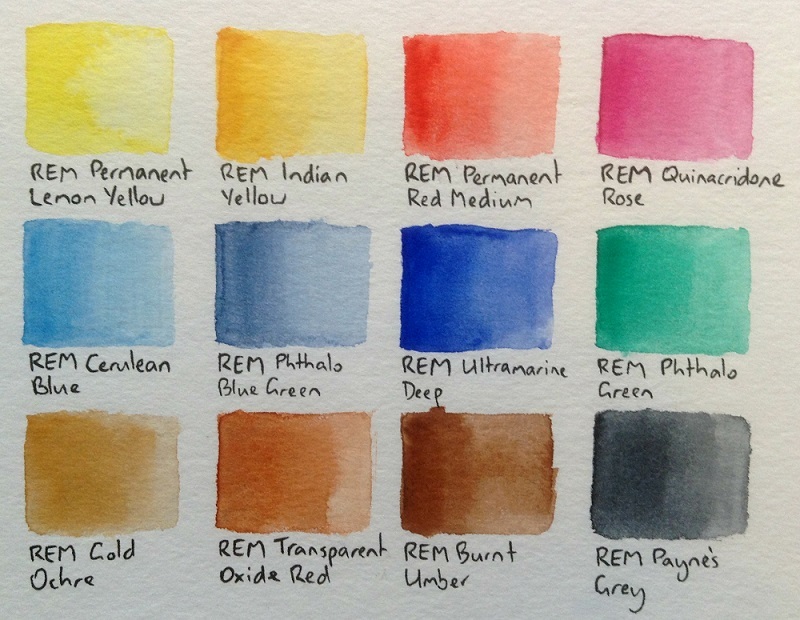 Click here for my review of the Rembrandt Watercolours. 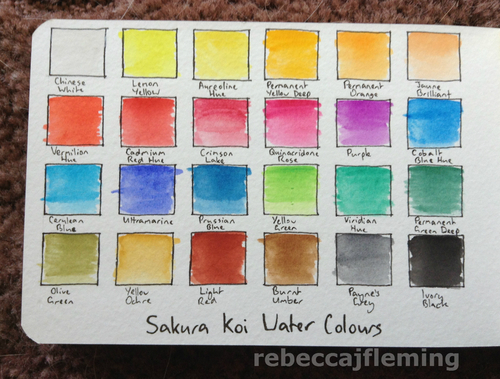 Click here for my review of the Sakura Koi Watercolours. 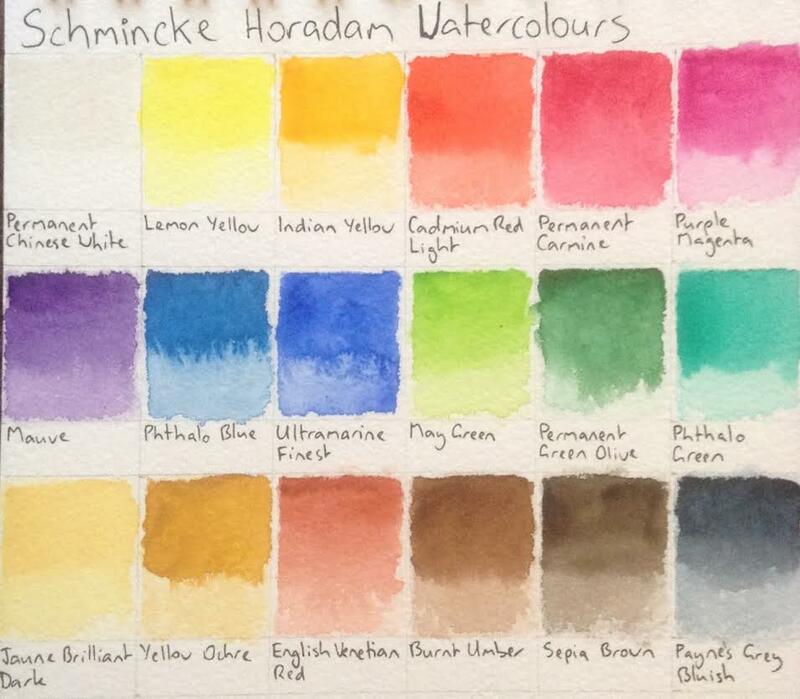 Click here for my review of Schmincke Horadam Watercolours. 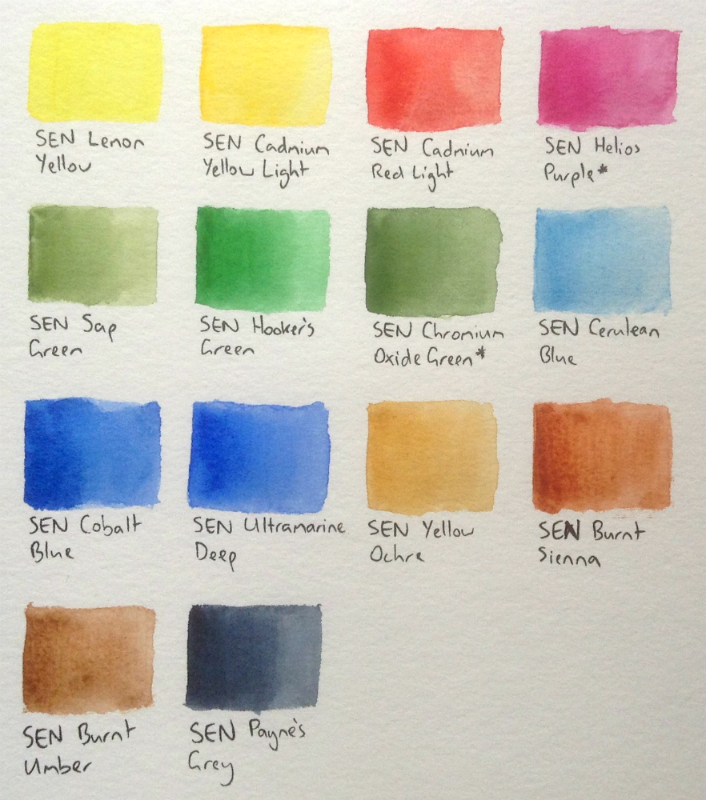 Click here for my review of Sennelier Artists Watercolours. 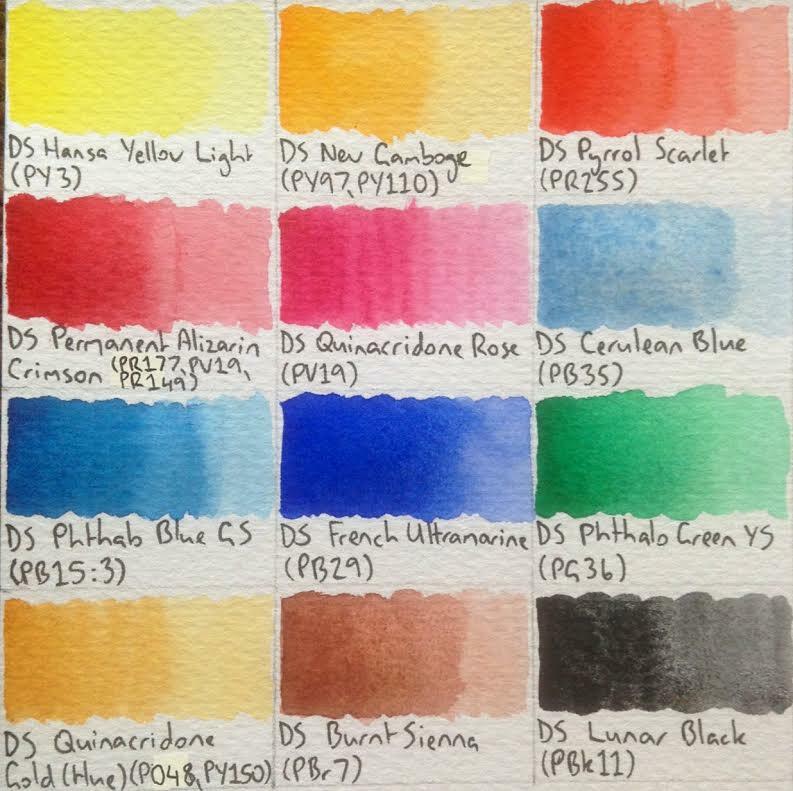 Click here for my review of St. Petersburg White Nights Watercolours. 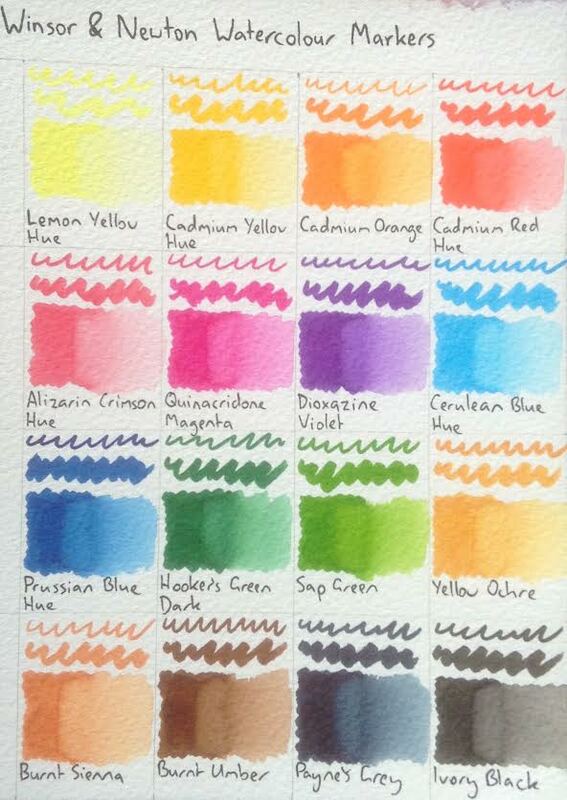 Click here for my review of Winsor & Newton Watercolour Markers.